How often do you hear people saying that football players earn way too much money? Or that it is crazy that Real Madrid buys a player for 100 million, yet having their huge debts and residing in country that has a seriously bad economy? This summer’s transfer window clubs were again spending huge amounts of money on new players. Barcelona paid 95 million euro for Luis ‘The Vampire’ Suarez. Real Madrid spend 80 million for the World Cup phenomenon James Rodriguez and Paris Saint-Germain spend 50 million for the ‘Loose Cannon’ called David Luiz. These huge amounts of money are for many people a reason to doubt the integrity of the process. However, they often don’t know what is really going on. The wage for the footballers and the transfer sums clubs pay are not as ridiculous as it sometimes seems to be. The top football players do earn a very high salary. The following table shows the top earnings of football players in 2014. The numbers are in millions of euros. Footballers are not the only athletes with high earnings. Actually only Messi and Ronaldo are in the Forbes top 10 of the highest paid athletes. The rest of the top 10 consist of one boxer, two tennis players, two golfers, two basketball players and one American football player. However, these top athletes are more than just sportsmen. They are entertainers. Almost everyone enjoys watching certain sports. This makes big athletes from popular sports a very important marketing tool and companies are willing to spend millions on them. There is no question if football is a popular sport, since it is the most viewed sport of the world. It is not a coincidence that the highest paid musicians earn approximately as much as the highest paid athletes. Therefore, footballers are no different as other famous people when it comes to salary. But still, how are clubs able to spend these high salaries and high transfer sums? First of all over the past few years wealthy investors have invested a lot of money or even bought football clubs, like Paris-Saint Germain, Manchester City or Chelsea. These clubs were bought by rich investors, who pumped millions or even billions of euros into these football clubs. Due to this development, players became more and more expensive. If you are a billionaire and you own a football club, the difference between 30 of 40 million euros for a top notch player is not really relevant. This resulted into the first steps of increased prices of players, and the main reason how a football club is able to pay so much money. The downside of this situation is that if the investor leaves, the club probably will get into a lot of debt if they don’t change anything. They cannot afford all the players’ salaries, staff salaries and training facilities anymore. One of the most well-known examples of this is Anzi Makhachkala. Suleiman Kerimov bought the club in 2011 and invested greatly in paying huge amounts of transfer sums and players salary. After nearly two years, the results that Kerimov had hoped for did not show. Therefore he decided to cut back the budget extensively, meaning that all these bought players ought to leave on short notice, and therefore quite cheap. 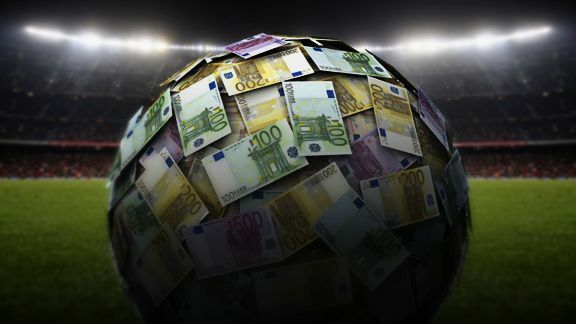 In order to try and make the football a fair and more equal game again and avoid such situations as Anzi Makhachkala, the UEFA has set up the financial fair play regulations. These regulations dictate that football clubs can only spend within the means of their earnings. UEFA hopes to level the playing field again and get clubs who don’t have a big investor out of their financial distress. Not playing by these regulations would mean that clubs cannot participate in UEFA competitions, the Champions League and the European League. Due to this regulation, clubs with rich investors need to find other means of income. This means that money is not directly paid to the club, but via a sponsorship deal with a company. Also, what many people forget is that debt is not necessarily a bad thing. If there is enough equity in the club than a club with millions of debt can still be a financial stable club. A good example of this is the big spender Real Madrid. Every year Real Madrid signs one of the greatest players in the world. This year it was James Rodriguez, last year it was the record breaking Gareth Bale and the year before that Luka Modric. These signings are not just to improve the team, they are also an important source of income. 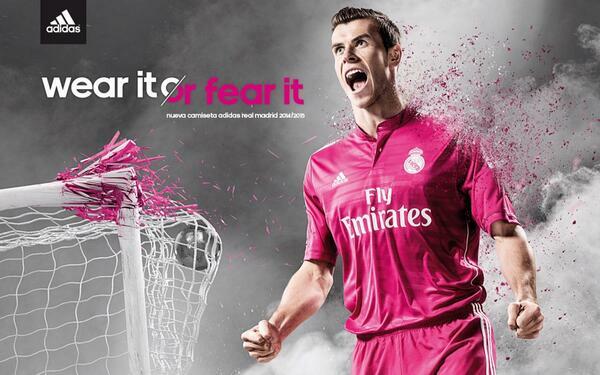 The sales of the shirts are one third of the immense total turnover (520 million euro!) of Real Madrid. And when there is a new signing, a lot of people want the shirt of that player. In general, clubs have three main ways to generate income; ticket sales, broadcasting revenues and commercial revenue. The following graph indicates why Real Madrid is able to pay so much more for a player compared to most other clubs. In order to give an indication on how important commercial revenues are going to be in the future, take a look at the following contract. On the 14th of July 2014, Manchester United and Adidas announced their new 10 year deal, starting in 2015/2016, of nearly 950 million euros. In comparison, the current deal Manchester United has with Nike settles for “only” 30 million a year, so less than 1/3 of their new deal. This indicates that the commercial revenues for clubs will only increase over the upcoming years, which leads to clubs being able to pay even more money as transfer sums for players. All this means that it doesn’t look like transfer fees for players are going to drop any time soon. The UEFA is trying to find regulations to make the competitions more equal again, but on the other hand the commercial and broadcasting revenues are working against this. As long as these increase, clubs can spent fortunes on players like Real Madrid over the last season and even make a profit leading to a decrease in their debt. As long as these clubs are making a profit, the UEFA can’t change anything about it, as they are operating fair and square. Of course not only the turnover is important, the costs have to be taken into account to determine how a company performs. In the chart below the profit/loss before taxes of 2012/2013 is shown. As the graph shows, Real Madrid made an impressive 48 million euro profit. And this is not an exception because since 2002, Real Madrid had never made a loss. Unfortunately, not every club is as financial stable as ‘Los Blancos’. As the graph shows, Chelsea and Manchester city both made some serious losses that year. However in this case, these clubs both have some big spenders backing them who can jump by if something goes wrong. Other unstable clubs aren’t that lucky and have to manage their financial structure more carefully. These high amounts of money and the popularity of football cause people to be biased against the football market. However, the football industry isn’t that different in comparison with other commercial industries. You have financial stable and unstable clubs just like you have financial stable and unstable companies. High transfer sums, salaries and debts are not indicators for financial instability and people should realize this before judging a club. I like the valuable information you provide on your articles. I will bookmark your blog and check again right here frequently. I am rather sure I’ll learn many new stuff proper here! Best of luck for the following!